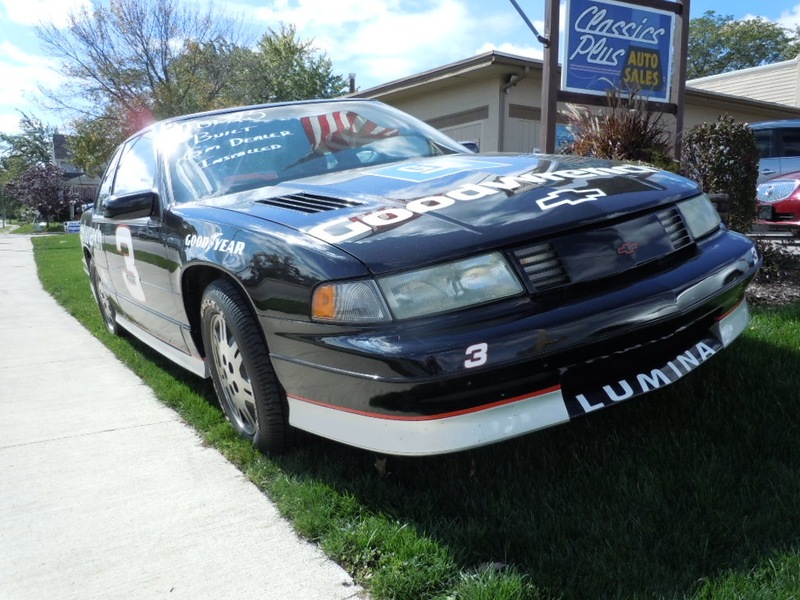 CC Capsule: 1993 Chevy Lumina Z34 Dale Earnhardt Signature Edition – The Epitome Of Lumina? If you want to find good antiques or other rarities, your best bet is to go somewhere remote. Northeastern, Indiana and northwestern Ohio are somewhat depopulated, with county seats of less than 6,000 people quite common, and I found this Lumina driving the two-lane state routes on my way from Auburn, Indiana to Columbus. Underwhelming it might be, but this is probably the rarest of my CC finds. 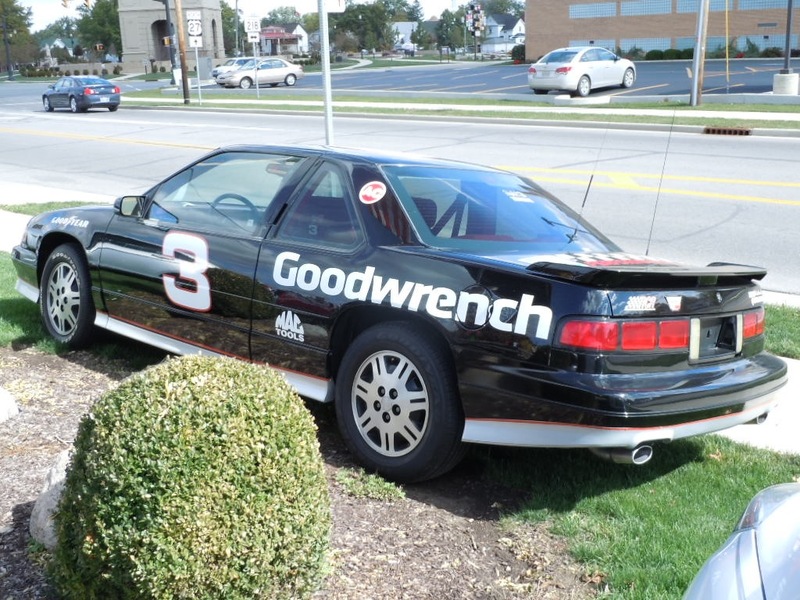 Commissioned by Dale Earnhardt Chevrolet in Newton, North Carolina to commemorate its namesake’s sixth Winston Cup win, these cars started out as black Lumina coupes with FE3 suspension and the “Twin Dual Cam” 3.4 liter V6. Only twenty-five were made. Silver ground effects, tons of vinyl graphics and last but not least, headrests embroidered with the famous number three’s signature completed the package. Fully loaded, the buyer had his or her choice of a Getrag five-speed or automatic and also got a weekend at the races included in the purchase. I didn’t realize I was looking at a genuine collectible when I snapped pictures of this immaculate-but-tragic coupe, which is unfortunate because I’d otherwise have taken note of the asking price. These seem to sell for between $15,000 and $25,000 these days, so there’s apparently a market for them. Who friggin’ knew? I was mostly excited because this was a fully-loaded W-body in reasonable shape. It seemed worth capturing since almost nobody remembers the Lumina fondly and I figured that in Z34 trim with an intact interior, this Chevy would finally have a chance to put its best foot forward on these pages. I’ll leave it those older than myself upon the car’s introduction to judge whether the sight of one in mint condition does anything to that end. From my younger perspective, the Lumina’s styling seemed to endear it to a very specific audience. Marketing it as the huggable official car of Disney World seemed at odds with Chevy’s occasionally hormonal “Heartbeat of America” ad campaign. I remember Luminas mostly as garish looking cars in Eurosport trim festooned with spoilers and sill extensions, with loud, blatty exhaust notes; they didn’t register as dignified family transport. Sure, as with any good family sedan, you might’ve understeered into a ditch in a Lumina, but you did it on the way to the tanning salon while listening to Van Hagar. The Lumina Z34 was ultimately like that high-school friend’s father who would so desperately brag about his rebellious youth when underneath, you knew he was a paunchy, innocuous character. That is ironically what makes this car so sensible as this limited edition collectible; to most of us, it’s a relic which broadcasts its insecurities over lost glory, but to some, it’s the ultimate tribute to a past they still very much miss. And I’ll say this much: you won’t find a Spirit R/T, a Taurus SHO or a Galant VR4 which costs five figures. I’m amazed that anyone , even a NASCAR fan, would want to own or worse yet drive around in such an abomination. A front wheel drive piece of garbage in a clown suit. Well, it looks like someone bought it. According to the lot’s website, the asking price was $6,995 with 75,665 miles on the odometer. If there were only 25 built (and they’re really going for at least $15k elsewhere), seems like someone got a relative bargain, even if it is pretty damn tasteless. Frankly, it’s easy to see why they only made 25, considering it doesn’t look like there’s a whole lot more there than just a bunch of tacky NASCAR stickers on an old black Lumina. If nothing else, it would be a sure-fire way to wow your buddies at the local dirt track on the weekends. What surprises me most is that the car has 75,000 miles. I had assumed it would have been garage-kept and barely driven. To think that someone actually drove a car with all those stickers for 75k miles is amusing to me. I suppose it was either bought at auction by the Indiana used car dealer where Perry found it, or otherwise made its way up there pretty quickly. It’s missing some stickers and a white letter tire. Like they repainted the back bumper. Perhaps some damage along the way? Dale Sr. was involved – that’s all some people need. Exactly what I was thinking. To have the imprimatur of the Intimidator still commands a huge emotional response for some people, despite over 10 years since his passing. It really has very little to do with the Lumina itself, it’s the Dale Sr. connection all the way. As to the Lumina, for the purposes of this CC–I really never saw Z34s often at all on the street. Or Lumina coupes as a whole. Whole lot of Eurosport sedans, but those were all show and no go. I’d forgotten the grille-less nose panel with the slotted inidcators of the Z34, for example. Not a bad look for the early 90’s, clean styling and decent proportions in coupe form, but not a car that really does much of anything for me either. My fiancee is. She’d have bought it in a heartbeat. There’s a black Z-34 right in my neighborhood, but not this edition. Basically it’s a nice-looking car, but I haven’t seen it moved in a while. I kind of looked at a 1990 Lumina sedan when car shopping, but bought our 1990 Acclaim instead. No regrets. However, I did find the Eurosport edition much more appealing, especially in that red/orange color! 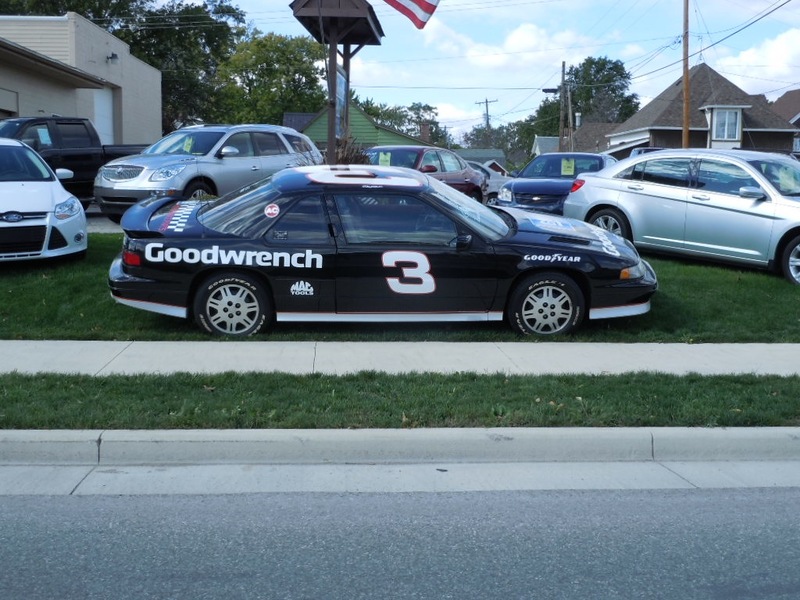 About a month ago, I found a very nice Dale Earnhart edition Monte Carlo parked on the street. What does it say about me that I could not garner the enthusiasm to snap even a single picture? You are a better man than I am, Perry! The GM10s are weird; I understand why people don’t like them, but I figured grabbing shots of a pristine, loaded one would add something to their story. I had no idea this was actually a collectible. The exhaust sound is one of my favorites ever. Mine too. They really stood out among all the Tauruses and Accords in those days (though I love the way the Accord sounds for opposite reasons). If for some reason you wanted a car like this, it would be easy to build a clone out of any 2 door Lumina. I can’t see the Lumina, even this one, ever being collectible, or even desirable a few decades down the road, if a Lumina could actually last that long without being properly stored. I used to know someone about 20 years ago that had a Chevelle SS396 clone. I helped him build it. It started out as a base model 2 door Malibu, light green with a green vinyl interior. It had a new crate 350 and a new TH350 trans. He had it painted blue, with all the proper SS396 stripes, badges, cowl hood, and wheels. From the outside you couldn’t tell the difference. But aside from converting the column shifter to a B&M floor shifter, I don’t remember any interior modifications. He just tinted the windows. For any given limited edition model, there are probably more clones out there than the real thing, some done right, some just cheap cosmetic copies like this one. 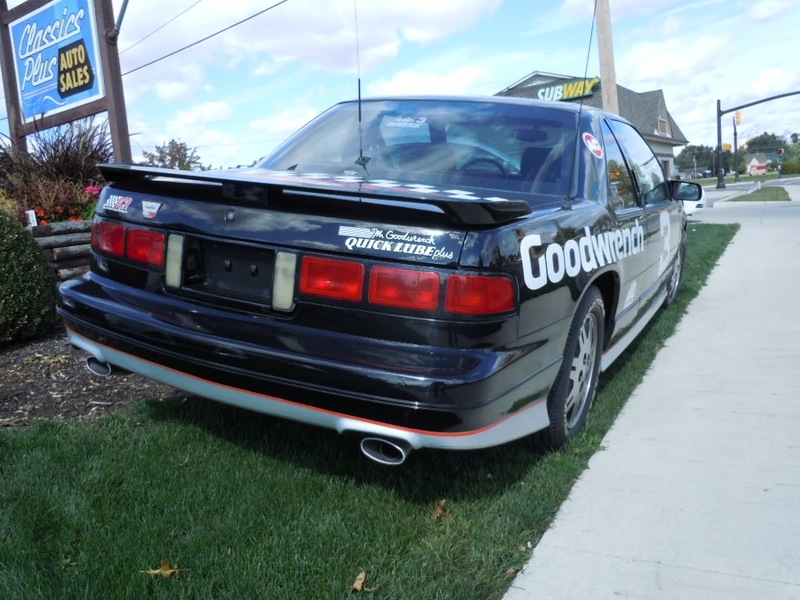 Just a couple of years ago, a local performance shop was selling a NASCAR replica car made out of a 1984 Thunderbird. It was not like this one, it looked just like a real race car. I don’t even remember the number on it, but it was intended to be a replica of an existing car. It did have a roll cage in it. And being an ’84 T-Bird, it actually had a V8 and RWD. I can see these being a modest collectable some day. Without the ridiculous stickers this one sports, the Z34 was one of the better looking coupes available in the 90’s in my opinion. The 210 HP was respectable as well. For better and worse, I don’t know if anything says 90’s to me like a white Z34. WOW, I had no idea ANY version of the Lumina was sold with a manual transmission. I think, though I’m not sure, I have seen one of these on the road. I assumed it was a sticker package on a “standard” Z34. A co-worker once bought a Lumina 4 door with the 4 cylinder engine off a “finance it here lot”. THE sorriest car ever. I want that head unit! in my experience this generation of Delco isn’t often seen with CD player. I have bad memories of those stupid door mounted seat belts so many lumina’s had. Did anybody actually keep the buckled all the time like the owners manual suggested? It was awkward sliding in and out under the tautly stretched lap belt. I only tried that once. I know I’m in the minority, but I always found it much easier to just leave it buckled. If cars were still sold with that feature as an option, I’d consider it. I hate reaching for the belt with a thick coat on. I tried to use these door mounted belts once as “intended,” and I found it to be a joke. Owing that I didn’t pay much attention to non U.S. brands until very recent years, I can’t tell you how foreign brands stack up in the development of passive restraints. Chrysler embraced the air bag and even advertised it in the ’80s with a small asterisk that most of its fleet was air bag equipped. Ford seemed to make a reasonable effort, and there is some reality that as manufacturers introduced air bags to new lines that air bag shortages sometimes occurred. I believe Ford had specific trouble with shortages with the 1990 Town Car, which may explain why the premium MN12 platform was introduced for 1989 with mechanized shoulder belts. I owned an early MN12, and if you were not careful, the moving belt would try to kill the owner. But, at least the shoulder belt was body mounted and not door mounted. GM. Oh, GM. The “go to” car of my grandparents, parents, and all of the United States for that matter. My go to car for my first three cars and car five. GM, the leader in air bag technology in the 1970’s through my favorite Division – Oldsmobile, no less. GM went on to became the leader in door mounted seat belts. The last model year GM I’ve owned was a 1982. The door mounted seat belt as a “passive restraint” “innovation” has to go down as the most cynical collusion between safety regulators and car companies that has ever happened. Move the belt to the door, where the door might fall off in an accident, tell people to do funny gymnastics to enter the car, but give them a way to use the belt conventionally anyway, and everyone pat themselves on the back that something was accomplished. GM’s cynical embrace of the door mounted seat belt is one of my nominations for a GM Deadly Sin. It’s especially fitting as undoubtedly some people lost their lives to this design. I had these belts in a 1993 Regal GS and no, I didn’t leave them buckled as I found them a pain to try and “walk into” when left buckled as the manual suggested. I actually found these belts easy to reach and just pull over and buckle once seated. I had a ’93 Geo Metro with those belts, I tried using them as intended exactly once and the lap belt ended up going over my calves just below my knees. IIRC, those belts went away because, if the door came open in a crash, they liked to slingshot you out of the vehicle. Oops. This is an abomination but not more than the FWD Monte Carlo “3” edition. He actually sought a first generation Lumina Euro Sedan for a family car at one point but could never find one gently used enough to meet his requirements at a price he was comfortable paying. Given how long he owned a 4cyl Celebrity sedan it would have been an interesting contrast with two vehicles that GM aimed at essentially the same market. While his brother has owned 3 W-body vehicles my Dad has owned none. Rather odd for someone who is so sold on GM. heh. The response to the next-gen Monte Carlo a few weeks back here on CC: “Why didn’t they call it a Lumina?”. Warning to buyer: Do not attempt to wash your 3.4 twin cam engine…or for that matter attempt to find someone to work on it. I recall discussing this engine, when current, with techs and the word was that while under warranty they were not supposed to even attempt to open it up, just send it back for another one. Was a nice engine in my company demonstrator 1992 Grand Prix B4U however. Ain’t nuthin’ nobody could do to make them memorable in my estimation. Oh. wait. I remember. It was white. I have to be the only man on earth to love the Chevrolet W body coupe AND to also have had THIS car (actually it was a ’94 sans Earnhardt graphics) AND this car’s spiritual successor, a 2002 Dale Earnhardt Intimidator. #899 of 3333 made in 2002. My 94 is below. I still think it a handsome little car. 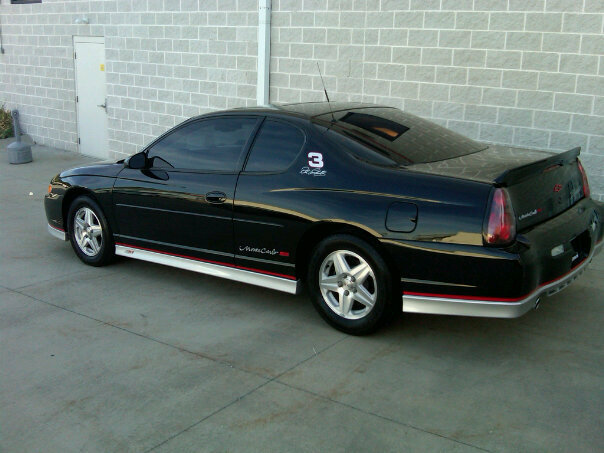 I’ve also had a 90 Euro Coupe, ’97 Monte Carlo LS and 01 Monte Carlo SS. What can I say? I really like these cars. 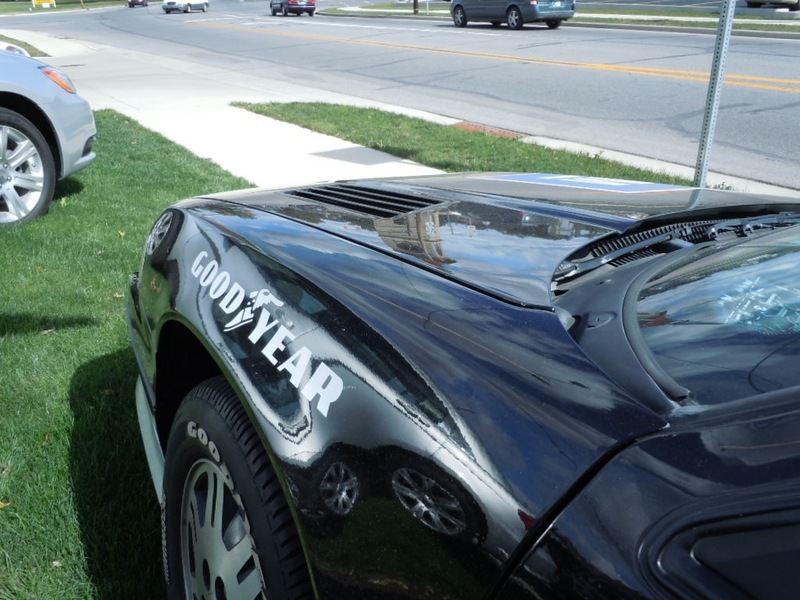 Not this ’93 with the goofy decals, though. Anyway, the only thing I can say about THIS ’93 is the engine wasn’t all that. The “Dual Twin Cam V-6”, which was just called a “DOHC V-6” on my ’94, was unresponsive around town, was slow to rev, had a lot of clatter from the cam shafts, got mediocre gas mileage and mechanics hated to work on it because there was no room under the hood with it being such a wide engine. Aside from that, Mrs. Lincoln, I loved that car. Great handler, fantastic brakes and it was real good in snow. I got rid of it when the lease ran out otherwise I probably would have kept it longer. Probably when the lousy engine gave more problems than I could handle which I hear was endemic to that thing. PS-I’m looking for a low mileage 2006 or 2007 SS right now. Tough to find. Did it deliver good upper-midrange when passing? They got respectable acceleration numbers in their day. Also, anyone know the weight difference between the 3.4 DOHC and the 3800? I ordered a 1992 Grand Prix with the 3.4 as my demo. I was impressed by the 210 horsepower rating, but not impressed by its actual performance. Slow off the line and not too memorable in any range. My 1991 Firebird demo had a 305 throttle body that seemed more responsive. I did like the 2nd gear start that came with the 3.4. Not that impressive really. The 3800s I’ve had always seemed more responsive and felt faster than that 3.4. 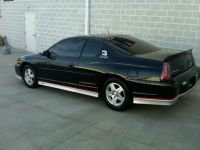 In fact, when I replaced the Z34 with my 3100 powered, 1997 Monte LS, I thought that car quicker than the the Z. 3100 was also very good on gas. 26, 27 mpg which was terrific back then. Well, I never owned one, but have ridden in several W-coupes, and I liked them. Sometimes things get taken out of perspective when looking back 20 years. These weren’t perfect by any means, but they had a lot going for them compared to the Toyotas and Hondas of the time. They were definitely comfortable to ride in. I did Raleigh, NC to Athens, OH (a 7+ hour trip) as a passenger in a friend’s ’96 Monte Carlo and remember it having nice seats and reasonable space in the back. However I can’t speak to the driving experience, as I didn’t get any seat time. He wasn’t overly fond of that car and eventually traded it on a SAAB 9-5. After the first comment I hoped you would post a photo of this, thanks! I think I saw a late 90s and/or early 00s Monte Carlo in this paint scheme, but never a Lumina Coupe. I know I saw something very similar in the mid to late 90’s, but find it hard to believe it was 1 of just 25 in my neck of the woods. It could have been some other promotional thing too I suppose. Agree with Phil L on this one. 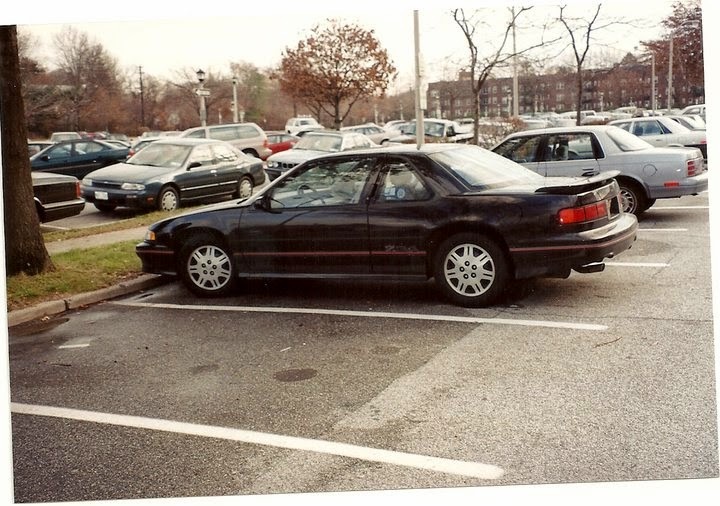 I can see the Lumina’s flaws – 3.4 reliability, unique interior design, agonizingly long development time – but it gets blown up as some terrible abomination, when there were much sorrier vehicles in the GM lineup. The first-generation Cavalier sold for over 10 years. The Chevette for a decade. The subsequent Lumina was a very cynical revision of the first and stripped away any charm. The first Lumina though may not have been perfect but I fail to see why it gets a disproportionate amount of scorn. Ditto the other GM-10s. Sometimes it feels anything front-wheel-drive outside of, say, the Taurus doesn’t get a lot of love here. I’m inclined to agree; the GM-10s were safe and performed well and a lot of their shortcomings–rotten fit and finish, unsupportive seats, squishy suspension–were shared with the Taurus. It’s not so much that the cars themselves sucked, it’s that they were thoroughly mediocre in a lot of ways and cost WAY WAY WAY too much to develop. A case of “too little, too late”? Is it a case where GM deliberately set out to build a ‘good enough’ car that gets peoples’ noses out of joint, or did it just happen accidentally? The Taurus may not have been perfect but one thing it was was daring, and by all counts a much better car than it’s predecessor. The GM10s were incredibly late responses to the Taurus, not only that they weren’t even good responses, it wasn’t until 1990 the 4 doors showed up. 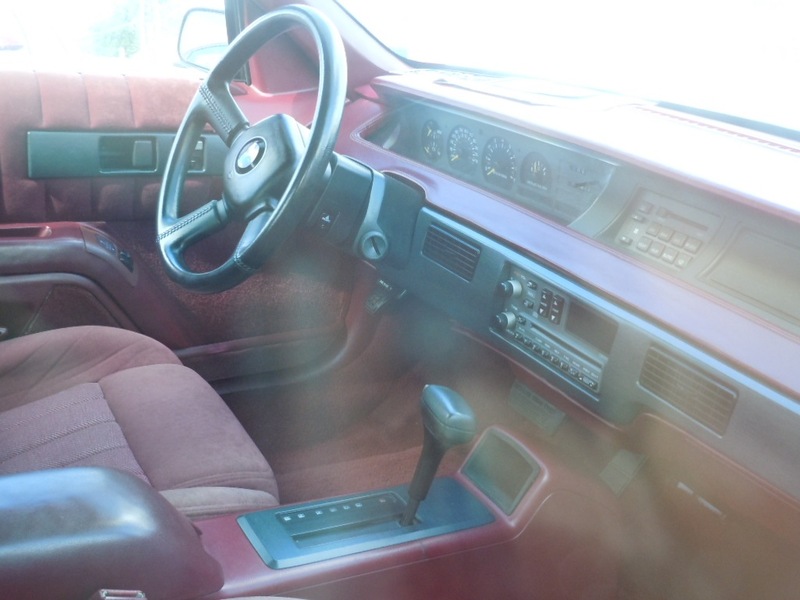 The steering in our ’88 Sable was kind of sluggish, but there’s no way the seats and fit/finish were as bad as a Lumina. My former 2002 Impala LS was pulled (at my request) from Dale’s dealership since they had one in stock in the color I wanted (bronzemist) and with other specific options. I gave specific instruction that the Dale Earnhardt dealer sticker, front license plate, and front and rear license frames were not to be removed from the car. Periodically, when in the Newton, NC area, I would stop in and see what special editions the dealership had. Believe me, as the years progressed, Dale Earnhardt “specials” were much better than this one. I got a chance to see one of these growing up in Nashville. I always thought the gussied up “specials” GM foisted on the public were tasteless but oh so cool to my young eyes. I grew up a few blocks from the Nashville Motor Speedway and would listen to the action every Saturday night from my upstairs window. I disliked Mr. E for some of his less than respectful comments towards African-American NASCAR drivers or the possibility thereof. At least NASCAR now knows if they want people to watch them drive in circles and buy overpriced trinkets of their favorite drivers they have to attempt to reach out to past the historic “poor white trash” crowd that supported them so long. One can only hope. I suspect it’s the fact that I’m a yankee but I never liked NASCAR, nor special editions like this(or any decal special for that matter). These cars didn’t leave the factory like this, some enthusiastic dealership just put some stickers on and touted them up as “1 of blank”. Sometimes you’ll get a signature on the dash, which might be worth something to someone of course, take out the significance of the person signing it though and all you have is writing on your otherwise good dashboard. Homologation specials are another matter, the Daytona/Superbirds, Aero G-bodies, et at least had some effort put into them and ultimately served a purpose. Hell my favorite cars ever made were homologation specials, NASCAR, Trans Am, GT racing ect. This thing though is just a way to dupe mindless fans. Dale Earnhardt would never drive this POS; It’s a wonder he would even have his name associated with it. GM Bart Simpson’ed just about everything in those days. One giant underwhelming underachievement after another in the car lines that mattered most. Also, stop the “Funny 80’s Chevrolet Celebrity” video at the :03 mark to view the workmanship of that day…misaligned trim under the windows…panel mismatch…looks almost like the back door is cracked open. I remember seriously looking at the Z34 Lumina when new car shopping in 1991. I thought it looked sharp, thought that twin-dual cam engine sounded way cool, and the lot had one in Torch Red. Looked so sharp. Really didn’t care for the door mounted seat belts – already had a Regal with ’em at the time and wasn’t thrilled with them. For a variety of reasons I ended up buying a 4-door S10 Blazer. I stopped driving the Blazer about ten years ago (but I still have it and want to get it on the road again.) I put 235,000 on the Blazer in ten years of driving it. I doubt the Lumina would have lasted miles or years quite so long. I had the pleasure of getting a test-drive in a 5-speed MANUAL transmission-optioned Z34 back in the early 1990s at a local dealership (I had no idea how rare the stick was, and haven’t seen one since – I wonder how long it took for them to sell it). The salesman drove it turned up to eleven and it scared the snot out of me! I wouldn’t own one myself, as I do my own auto repairs and the 3.4 under the hood is a deal-breaker.